click on the below links for SUMMER, AUTUMN, SPRING Season! WINTER Chakra Survival Vitality Bundle our THREE Month Seasonal Skin Food Package! 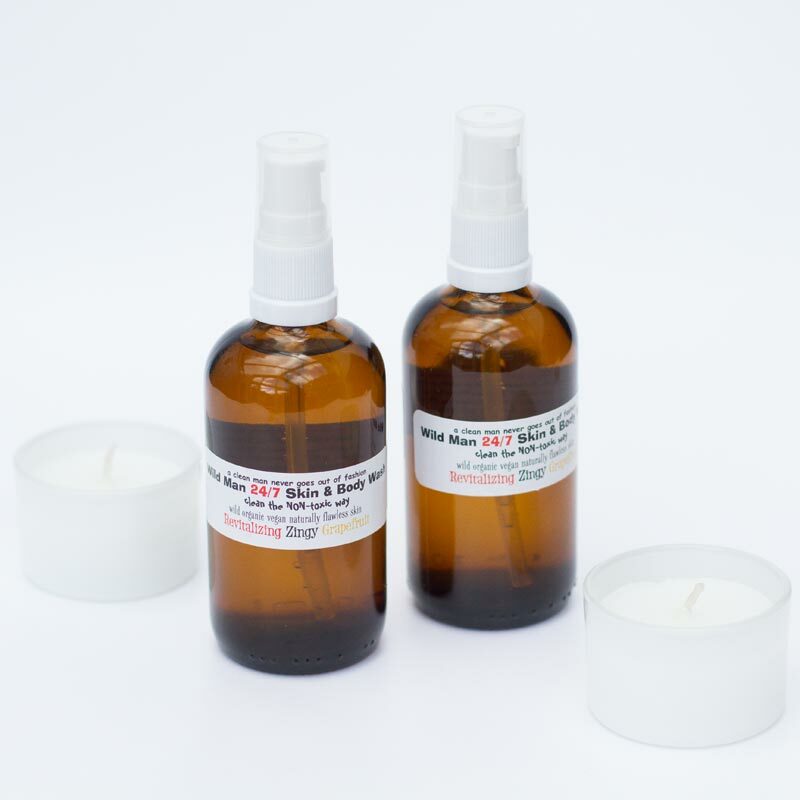 Chakra Survival Vitality Bundles are created for seasonal use containing the highest quality foodgrade ingredients which are not only beyond organic and vegan, they are laced with the most divine, high frequency oils, sacred waters and therapeutic essential oils. These high frequencies have an amazing effect on the Chakras raising one’s energy to unconditional love, passion and divine abundance. Our WINTER Chakra Survival Vitality Bundle promotes physical balance, spirituality and increases awareness. Corresponding as a third eye opener during meditation and other spiritual practice. Find peaceful centering during times of change and uncertainty. Achieve deeper states of meditation during your daily meditative practices. You may find a more powerful experience using the oil during yoga and other spiritual practises on your third eye. When Ajna (third eye) is balanced open ourselves fully to intuition, imagination and clear-sightedness. (Physical location: Between the eyebrows, behind the forehead). Sahasrara (Crown Chakra) is all about spiritual connectivity. Our blends will bring one closer to conscious thought. Frankincense, Vetiver & Lavender WINTER Chakra Survival Vitality Bundle was created for intensity as a THREE Month Seasonal Package for use on your root & sacral chakra. Charged with the intent to access higher states of consciousness! Envision the colour VIOLET or INDIGO when meditating! 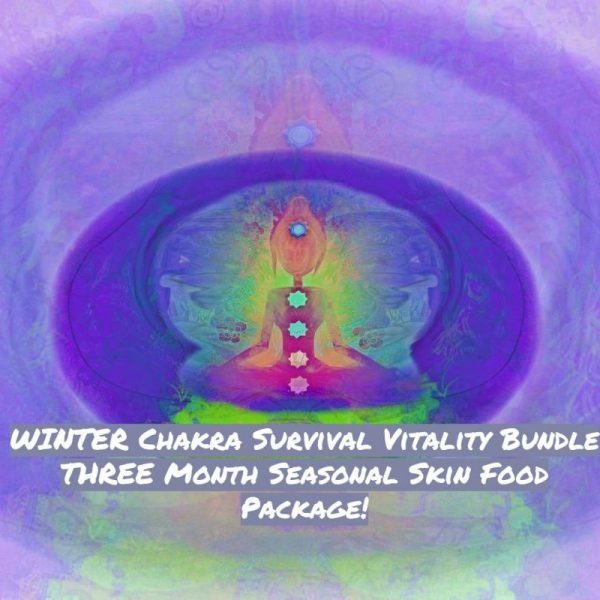 WINTER Chakra Survival Vitality Bundle | THREE Month Seasonal Skin Food Package! 100% Organic Vegan Ethical, Luxurious Food-grade Ingredients! 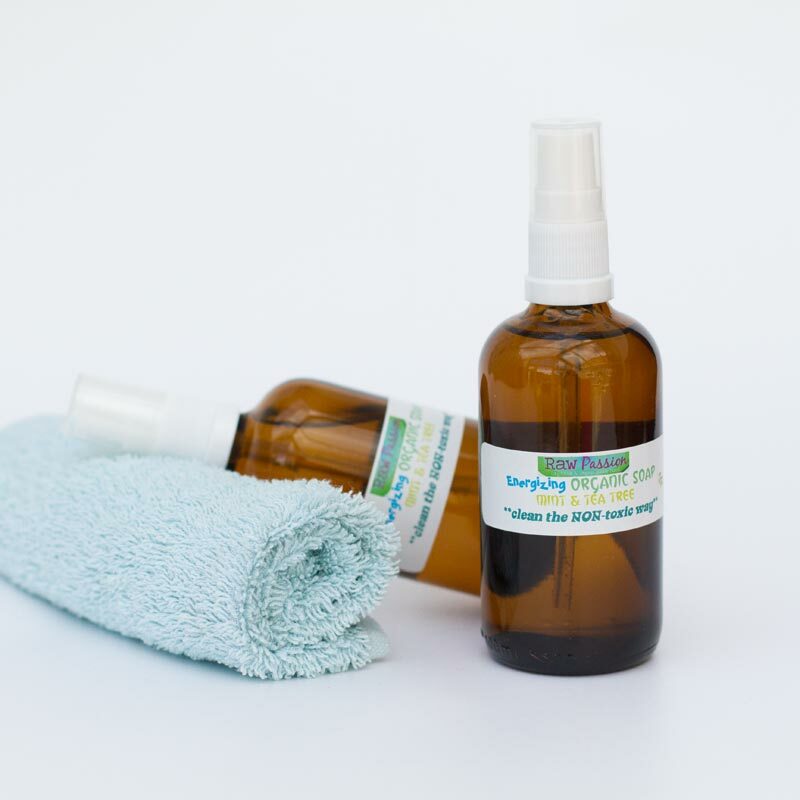 100% Certified Rawsome Organic Vegan Ethical Ingredients: Anthemis nobilis (Chamomile) Flower Water, Boswellia Carteri (Frankincense) Oil, Vetiveria Zizanoides (Vetiver) Root Oil, Lavandula angustifolia (Lavender) Flower Oil, Naturally Occurring: Borneol, Geraniol, Lavandulol, Linalool, Pinene, Vetivone. 100% Certified Rawsome Organic Vegan Ethical Ingredients: Soapwort (Saponaria Officinalis), Shikakai (Acacia Concinna), Oil of Coconut (Cocos Nucifera), Oil of Olive (Olea Europaea), Oil of Hemp ( Cannabis Sativa), Oil of Jojoba (Simmondsia Chinensis), Oil of Avocado (Persea Gratissima), Oil of Sesame (Sesamum Indicum), Prunus Armeniaca (Apricot) Kernel Oil, Vitamin E (d’alpha tocopherol), Anthemis nobilis (Chamomile) Flower Water, Boswellia Carteri (Frankincense) Oil, Vetiveria Zizanoides (Vetiver) Root Oil, Lavandula angustifolia (Lavender) Flower Oil, Naturally Occurring: Borneol, Geraniol, Lavandulol, Linalool, Pinene, Vetivone. 100% Certified Rawsome Organic Vegan Ethical Ingredients: Organic Cold Pressed Camellia Seed Oil (Camellia Sinensis), Boswellia Carteri (Frankincense) Oil, Vetiveria Zizanoides (Vetiver) Root Oil, Lavandula angustifolia (Lavender) Flower Oil, Naturally Occurring: Borneol, Geraniol, Lavandulol, Linalool, Pinene, Vetivone. 100% Certified Rawsome Organic Vegan Ethical Ingredients: Butyrospermum Parkii (Shea) Butter, Vitis vinifera (Grape) Seed Oil, Prunus Armeniaca (Apricot) Kernel Oil, Boswellia Carteri (Frankincense) Oil, Vetiveria Zizanoides (Vetiver) Root Oil, Lavandula angustifolia (Lavender) Flower Oil, Naturally Occurring: Borneol, Geraniol, Lavandulol, Linalool, Pinene, Vetivone. 100% Certified Rawsome Organic Vegan Ethical Ingredients: Butyrospermum Parkii (Shea) Nut Butter, Cannabis sativa (Hemp) Seed Oil, Solum diatomeae (diatomaceous earth) clay, French Green Montmorillonite (bentonite clay) Clay, magnesium chloride (magnesium oil), Boswellia Carteri (Frankincense) Oil, Vetiveria Zizanoides (Vetiver) Root Oil, Lavandula angustifolia (Lavender) Flower Oil, Naturally Occurring: Borneol, Geraniol, Lavandulol, Linalool, Pinene, Vetivone.